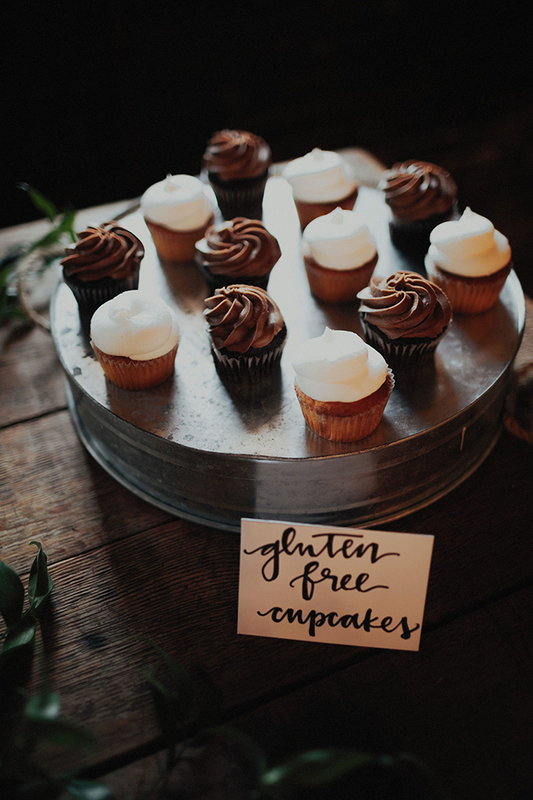 A record guest book, temporary tattoo favors, and a cookie cake: could this wedding be any cooler? 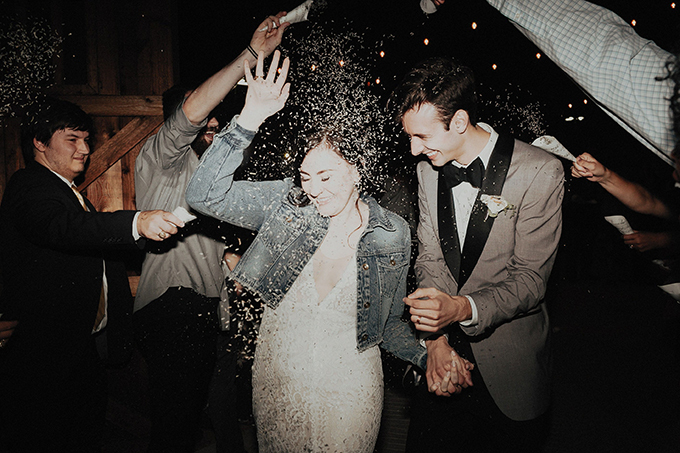 This is an industrial wedding of the couple put a lot of effort into making sure all their guests had a blast! 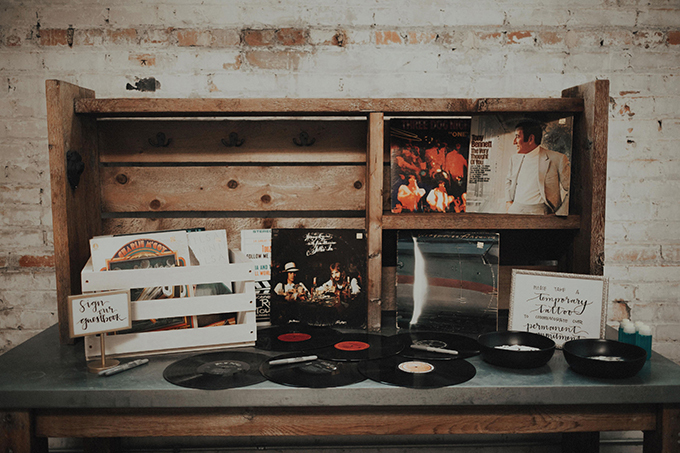 The vision of the wedding came from the couple’s love of all things industrial and minimal. 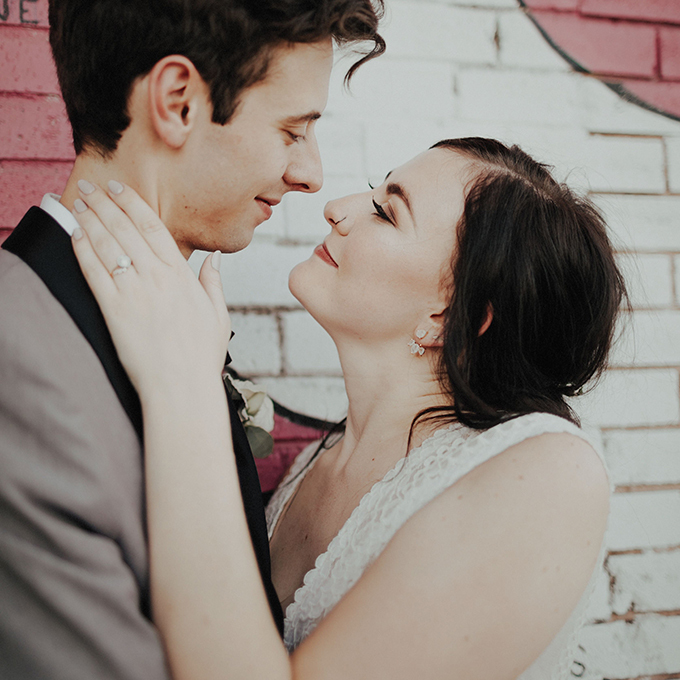 The bride loved the idea of keeping the decor and venue simple because they wanted to focus our energy into the commitment behind the celebration. 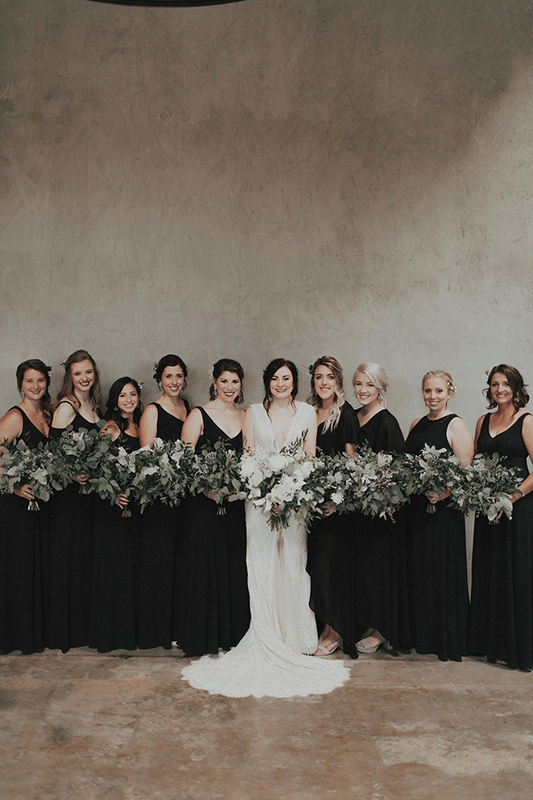 The color scheme was greys because it reflected the couple’s everyday style perfectly. 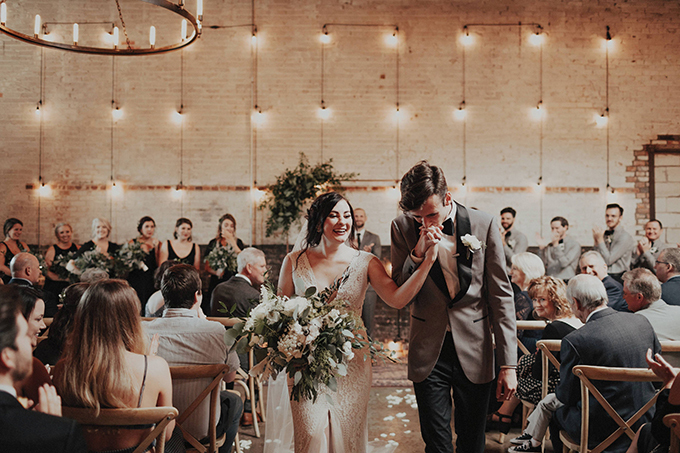 The venue was chosen very fast: exposed brick, concrete floors, piping overhead, and all the original charm of the warehouse impressed the guys. 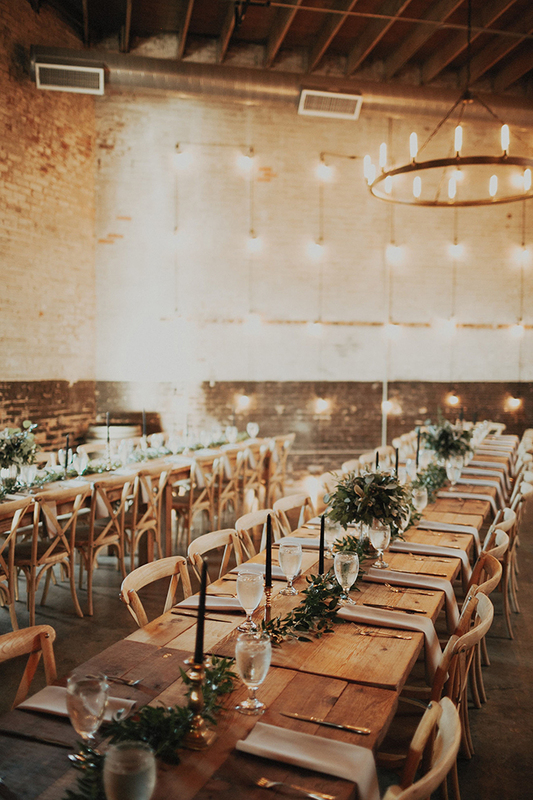 They decided to keep the farm tables simple, we strung them with greenery and vintage candle holders with black tapered candles. 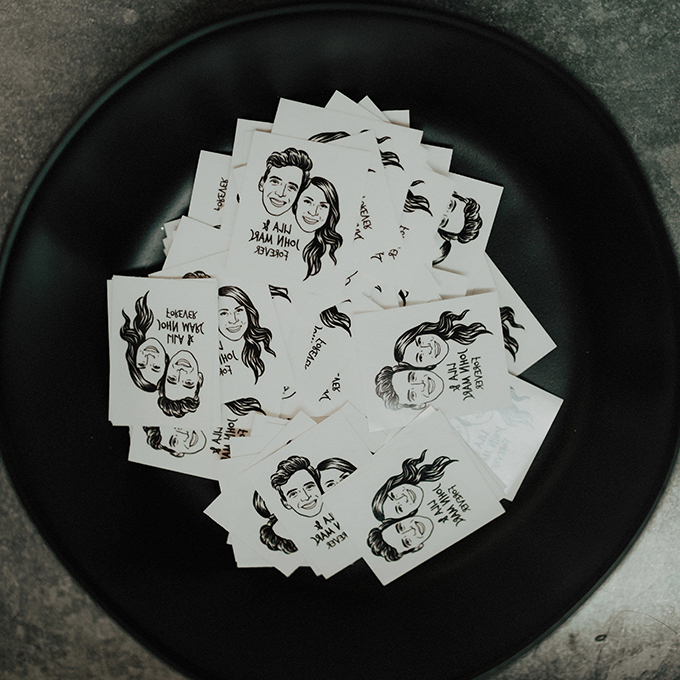 The couple offered custom temporary tattoos designed with their faces on them to everyone who wanted. 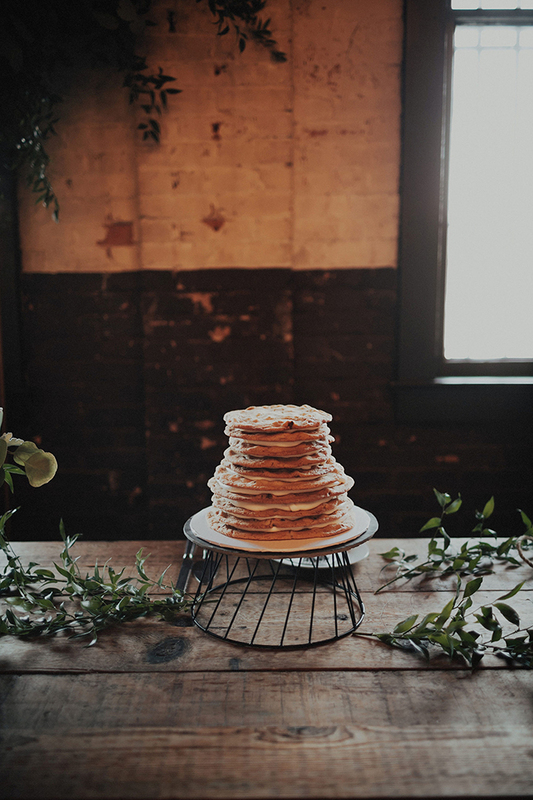 They also chose a non-traditional wedding cake: a multi-tier cookie cake filled with cream between each layer. There were mini cookie sandwiches passed to the guests. The bride was wearing a twist on a classic lace gown with a deep v in the front and back. It also had a slit revealing blush and white tulle in the front. She chose to wear a long veil for the ceremony and take it off for the reception. The groom was wearing a light grey tux with black lapels. 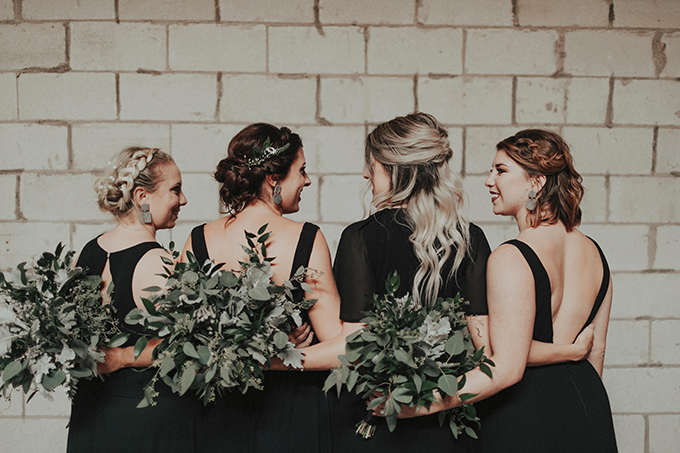 The bridesmaids were wearing mismatching maxi black gowns. 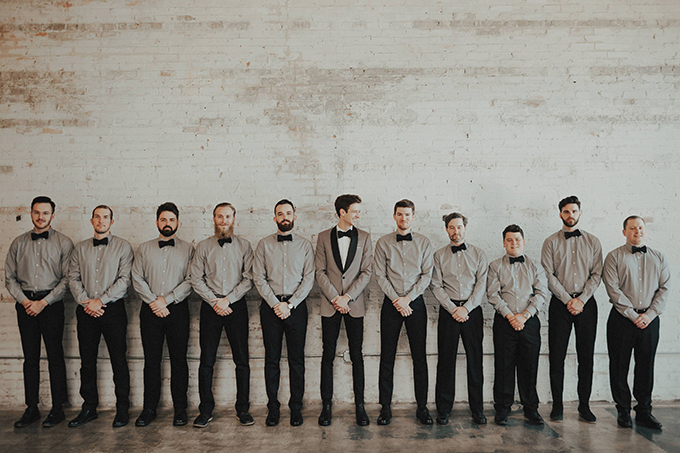 The groomsmen were wearing grey shirts with white buttons and black pants and black bow ties.